Imagine you are standing in a beautiful mosaic of meadow and forest habitats – buzzing bees flying from flower to flower. You are in the Zarand landscape corridor in Romania. 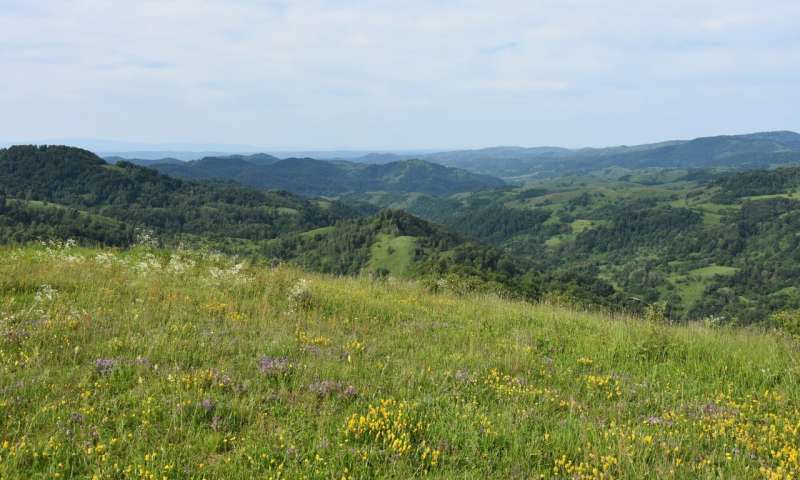 As well as having rich floral diversity, this landscape corridor provides an element of wilderness through which brown bears, grey wolves and Eurasian lynx can move between the Western and Southern Carpathian Mountains. However, the Zarand landscape is under increasing threat from new developments and a shift away from small-scale agriculture. This puts local biodiversity and people's cultural heritage at risk of being lost. Together with Zarand Association, Fauna & Flora International (FFI) is working with local communities to protect their environment and promote sustainable agricultural practices and other rural business enterprises. One way we are doing this is by promoting beekeeping, which encourages communities to value and preserve wildflower meadows and sustainably managed forests. This is because beekeepers rely on these habitats for bees to pollinate and produce honey from wild flowers and trees such as lime and acacia. 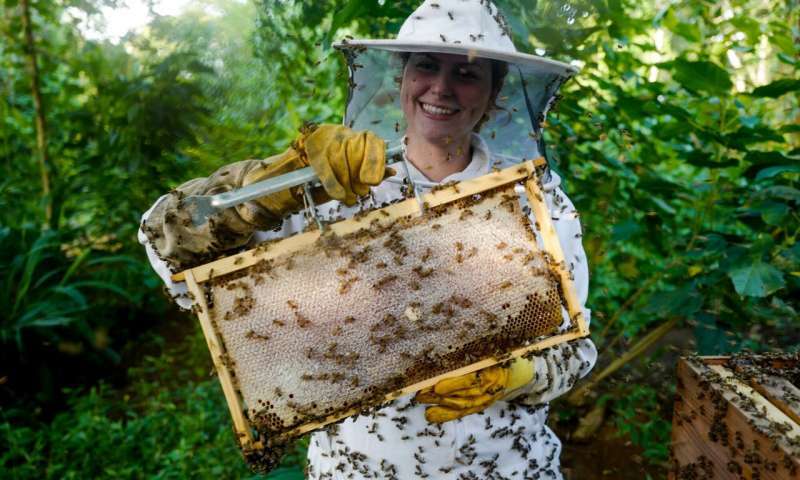 Beekeeping is already a traditional farming practice in the area with up to 60 beekeepers, but is in decline as young people are increasingly moving away from rural villages to earn higher incomes elsewhere. However, by coming together, beekeepers can strengthen their bargaining power and achieve better prices for their honey collectively than they could as individuals. FFI supports the sale of their honey at a fair price so that farmers can earn an income based on the Fairtrade principle – which seeks to provide local farmers with more favourable prices and improved access to markets for sustainable agricultural products. Alongside this, we have supported the creation of a unique Zarand brand, which farmers can use to differentiate their products. 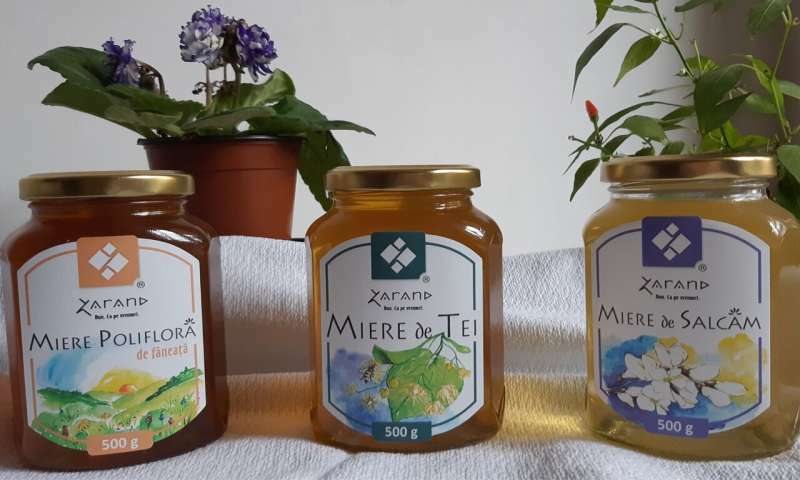 By marketing with this distinctive brand, farmers can showcase their pure and premium honey derived from the Zarand landscape, and sell their products at a higher price directly to shops and at fairs. This also helps consumers recognise that they are buying a traditionally produced, natural honey of a higher quality than many other products on sale. The honey is produced in line with EU food safety standards, so while it is currently only on sale in Romania, we are planning to expand into other EU countries in the future. As the Zarand brand grows, we are hopeful that more farmers will join the initiative and therefore have a greater incentive to continue to manage the land in ways that also preserve the beautiful Zarand landscape corridor. Community Facilitator for the project, Anca Barbu, said: "One of Zarand locals went to Arad and he saw the honey on a store shelf. He said that he knew about the plans of selling honey but he never believed that he will see the honey on a shelf store from Arad. Seeing the honey on that shelf made him believe that the natural beekeeping in the area has a chance to prosper." Across the globe on the island of Príncipe, in the Gulf of Guinea, we are supporting a local beekeeping cooperative with our partner Fundação Príncipe. In Príncipe, honey is traditionally collected from wild colonies using a destructive method that involves burning the nest, and therefore killing most of the bees. This method also carries the risk of uncontrolled fires spreading through the forest. The traditional collectors are known as "queimá vunvú" – which literally means "bee-burners" in the local forro dialect. Due to this destructive practice, wild bee colonies are reportedly harder to find and the honey collected is usually poor quality. 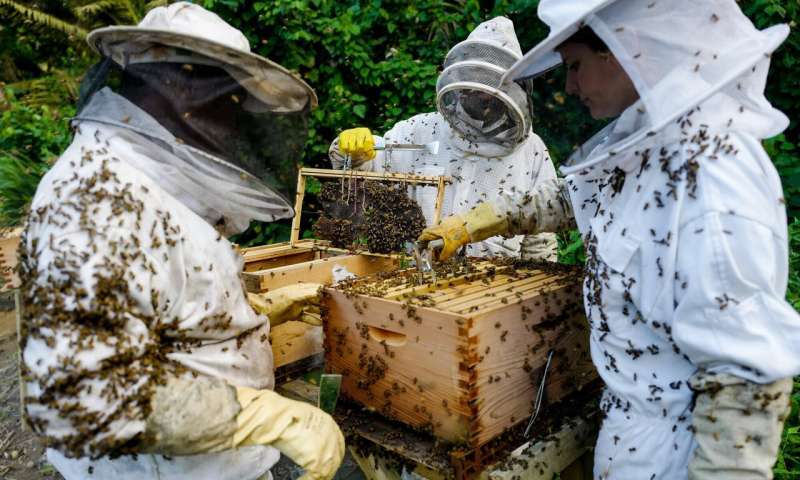 To address this problem, FFI and Fundação Príncipe are raising awareness of the importance of bees as pollinators and providing training to beekeepers for an alternative model of honey production that does not involve bee-burning in the forest. Since 2017, thanks to government support, it has become illegal to burn bees to extract honey, and increasing regulations relating to the sale of honey are helping to prevent illegally extracted honey from entering the market. FFI's Príncipe project manager, Laura Benitez, said: "This is an ambitious and exciting project based on three pillars – communities, beekeeping and forest conservation – each with its own challenges. The biggest challenge is to offer a sustainable alternative to honey production, changing people's mindsets and creating the technical skills to do so, to prove that it is possible to manage the forest in a way beneficial to both humans and bees. "In the end what we are trying to achieve is nothing more than imitating the work of bees: using the forest as a resource in the most intelligent and productive way possible, feeding and providing our community and, through our work, returning some benefit to the planet. For bees the result of all this work is honey; for us the sweet result is a healthy environment with engaged communities having sustainable livelihoods." Beekeeper Jaynilsa Vaz Lourenço said: "The project was very important to teach us how to do beekeeping and show that bees are important to make our honey and also our food. If we do not have bees, we will have no fruit. We depend on the bees."